Neighbors United is not your usual food or supply drive. We work with nonprofits and businesses all over Eastern Maine to connected those in need of supplies with those willing to donate those supplies. Click here to learn more. Since 2012, UWEM has partnered with the Maine Community Foundation, health and human service organizations, University of Maine Cooperative Extension, businesses, schools, and towns to collect food and donations during the month of March to benefit the food cupboards of Hancock County. Since the program’s inception, over 65,000 pounds of food have been collected, translating into over 54,000 meals (approximately $137,000 value). Over $52,000 in matching grants have been generated (UWEM and Maine Community Fund) and nearly $25,000 in community donations have been raised. Over the life of the effort, 575 businesses have participated. Over the last 15+ years, UWEM has co-managed the National Association of Letter Carriers (NALC) Food Drive in the Bangor area in cooperation with the local NALC postal workers union. NALC is the largest food drive in the United States. UWEM supports publicity efforts, volunteer recruitment, and organization leading up to the event, and manages the administrative functions and volunteer management on the day of the event. Over the past 10 years this program has generated over 1 MILLION pounds of food, translating into nearly 825,000 meals valued over 1.9 million dollars. 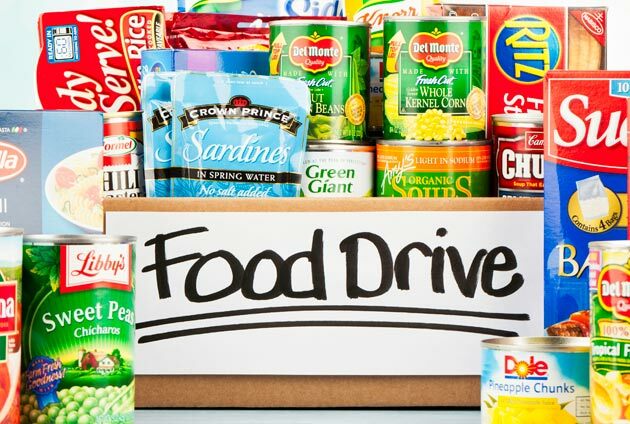 This one-day food drive has utilized close to 600 volunteers contributing nearly 3,630 hours of service valued at $63,000. UWEM administers local FEMA Emergency Food & Shelter Program (EFSP) funds to social service agencies in Penobscot County. EFSP funds provide food, shelter, and general assistance to those in need.